Inogen One G3 Provides a Lightweight Oxygen Solution. The new Inogen One® G3 delivers the independence of previous Inogen One portable concentrators, but it’s smaller, lighter, and makes more oxygen per pound. It’s a portable concentrator light enough to be worn care-free by the active oxygen user. That means there are no tanks to refill and no worry about running out of oxygen. The Inogen One® G3 is your one solution, your single solution, for oxygen at home or away. Battery: Duration (single battery): 3.5 to 4 hours. Recharge approximately 2-4 hours with AC or DC power. Duration (double battery): 7 to 8 hours. Recharge approximately 4-8 hours with AC or DC power. Oxygen Choice is very proud to offer the widest range of stationery and portable medical oxygen concentrators from all the leading manufacturers and distributors. We are confident that we can provide a well informed professional personal service from “hospital to home” for all your oxygen requirements. 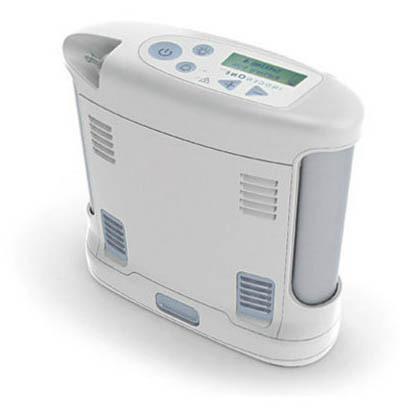 When choosing Oxygen Choice you have the confidence that your oxygen concentrator, whether it be the Inogen One G3 Portable Oxygen Concentrator or a different model, it will be delivered to your door by a trained technician who will explain all aspects of your machine including initial setup, recharging, power management, safety tips and oxygen settings. It’s all part of the our service.